Come join us at American Family Fitness to have fun with cardio! With top-of-the-line equipment and personal trainers to help you reach your goals, you will never need another gym! Cardio training is a basic element of any physical fitness program. You’ll not only improve your heart health through aerobic exercise, but you’ll burn calories, tone muscles, and build endurance, too. Our gym in Fredericksburg offers all the equipment you need -- and group exercise classes if you’d prefer to work out with others. Whether you exercise solo or with a group, try cardio at American Family Fitness. Do you feel that cardio training can be somewhat confusing? If practiced properly, cardio has the ability to increase your heart rate, burn fat, and improve overall health and wellness. It can assist in distributing oxygen throughout the body, and even improve energy levels. 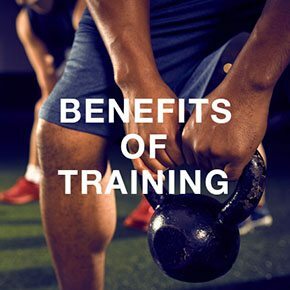 At our gym in Fredericksburg we are here to help you achieve the best results possible, and cardio training is one of our favorite tools to get you there! Weight training is the perfect partner for any cardio training program. 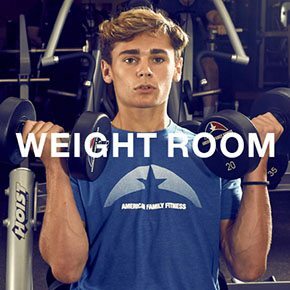 At the best gym in Fredericksburg, we provide top-of-the-line weight machines that target all muscle groups, as well as a wide variety of free weights. Check us out today! Is it frustrating to have to wait in line for a piece of equipment? Well, no more! At our Fredericksburg gym we strive to make sure you will never again have to wait. 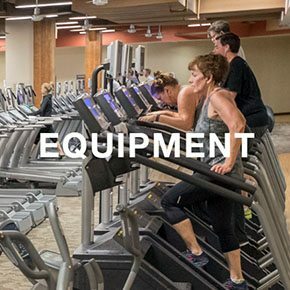 The wide variety of equipment we offer includes many treadmills, elliptical machines, bikes, as well as rowing and stair climbing machines. Waiting for a machine will be a thing of the past!